The fire happened in the accommodation building in the monastery of Saint Elijah in the village of Kacapun, in the southern Serbian Municipality of Vladicin Han. Firemen were called out to extinguish the fire and discovered various burnt religious icons in the attic. 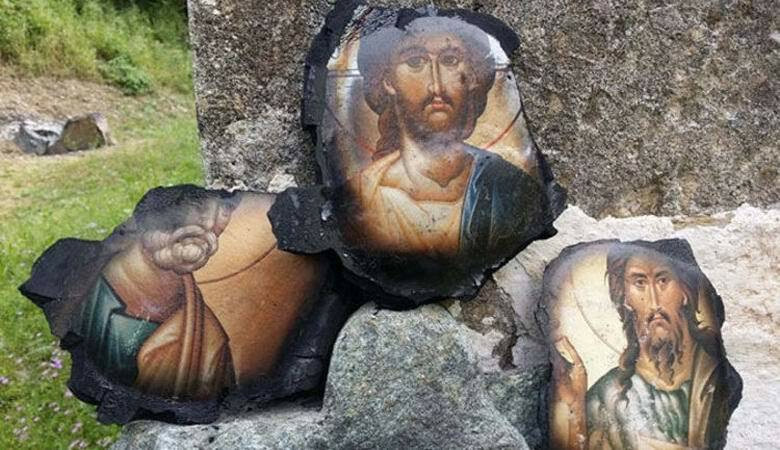 What worshippers found amazing however is that despite the tragedy in losing the church, the icons of Jesus Christ, Saint John the Baptist and Saint Peter had their faces untouched. Orthodox churches often have icons which are painted or printed images of holy people which are blessed by the priest and displayed for the congregation to see. The news of the supposed miracle involving the icons has now been spread far and wide by believers. The monastery of Saint Elijah in Kacapun is one of the oldest in the southern region of Serbia and dates back to the 13th Century. The construction of a more recent addition to provide accommodation for the monks and guests began in 2003 with the help of the Government of the Republic of Serbia and local worshippers. The fire, of which the cause is unknown, has caused great damage to the religious sanctuary and worshippers have been asked to help with the renovation.